Quadriplegia refers to paralysis of all four limbs and its victims suffer loss of movement and sensation, inability to work or perform daily tasks, and personal freedom. Adding another dimension to the trauma of a quadriplegia injury, it is often the result of an injury in which someone was at fault. While money does not solve a problem like quadriplegia, there are treatments and medical devices that can improve the life of someone suffering from paralysis – but these are often extremely expensive. A caring and dedicated quadriplegic injury lawyer knows how to develop a case and maximize recovery against negligent defendants in order to improve a victim’s life as much as possible. Bart Bernard Injury Lawyers helps Louisiana families recover from these devastating events. A quadriplegia injury occurs when the spinal cord is severely injured at the neck, at the C1-C7 region. The injury impedes communication between the brain and the limbs. Depending on the exact position and severity of the damage, someone suffering from quadriplegia may or may not be able to move their neck or breathe without difficulty. Some of the effects of quadriplegia are obvious – the inability to walk or use one’s hands, for example. But there are many less obvious but just as serious problems as well, including loss of bladder and bower control; breathing problems; burns, bed sores, and other injuries that are not felt due to lack of sensation; and blood clots. Skilled nursing care is necessary to prevent complications from these and other quadriplegia-related problems. Quadriplegia is most often caused by a physical injury. Less commonly, it is caused by other medical conditions like a stroke, a nerve disease, Bell’s palsy, or Guillain-Barre syndrome. The breach was “proximately related” to the injury. In other words, the causation was logical rather than a unpredictable fluke. In the case of an auto accident, for example, if a defendant operated a vehicle carelessly or in violation of traffic safety laws and caused an accident that led to the victim’s paralysis, the defendant may be liable. Proving negligence is not the end of the story. Successfully building and trying a quadriplegia injury case requires the ability to work with multiple expert witnesses who can tie all the pieces together. For example, they must be able to explain the physics involved in causing the injury and break down the medical prognosis and necessary treatments or supports. 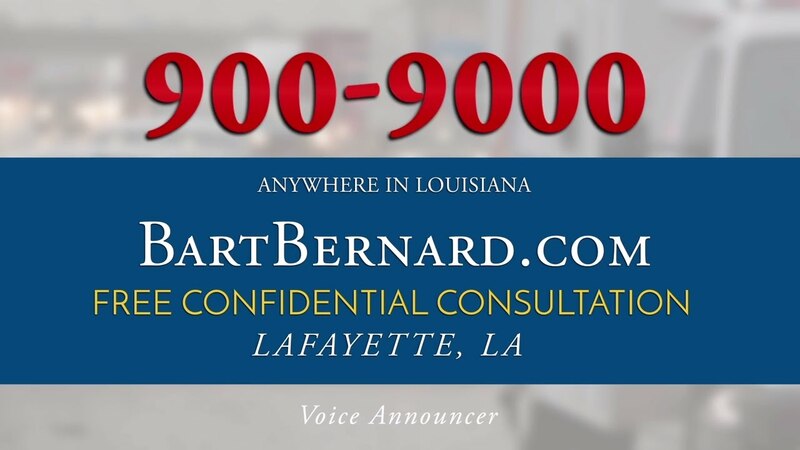 Bart Bernard works hand-in-hand with experts to present a seamless case as he asserts the rights of injury victims in Louisiana from his offices in Lafayette and Baton Rouge. The costs incurred by a quadriplegia injury can be mind-boggling so it is important to make sure they are all accounted for during the case. Also know that they can be reduced by some factors, as discussed below. As in other types of personal injury, factors like legal fault, degree of damages, and causation in fact affect the outcome of a quadriplegia lawsuit. Sometimes liability is clearly in the court of one party and other times it is mixed. If you were partly to blame for an accident that led to your quadriplegia injury, Louisiana’s comparative fault law still allows you to pursue a claim for damages but it will be reduced by the proportion of your fault. For example, even if you were 80% at fault for the accident, you can recover 20% of your damages from the other party. In less serious injury claims, the defendant may claim that the injury was not as serious as claimed. Quadriplegia is less disputable, but there may still be a battle over the impact that it has compared to life before an accident, as well as any pre-existing conditions that might have also affected quality of life. Litigating such serious claims can sometimes feel like trivializing them which is why it is important to align with a personal injury lawyer like Bart Bernard who has seen many serious injury claims in Louisiana. Bart Bernard works tirelessly on your behalf to obtain justice and help you secure the financial security of you and your family. While each case is unique, he has a proven track record of success in even the toughest of cases and most serious of injuries. Please contact us at our office in Lafayette, Baton Rouge or Lake Charles if you or a loved one has suffered from a quadriplegia injury as the result of someone else’s fault. We will provide a free, no-cost legal consultation to help you determine your legal options.